We spent a few days last week in Vancouver, B.C., to celebrate the Birthday That Shall Not Be Named in a country that will not elect Donald Trump to national office. 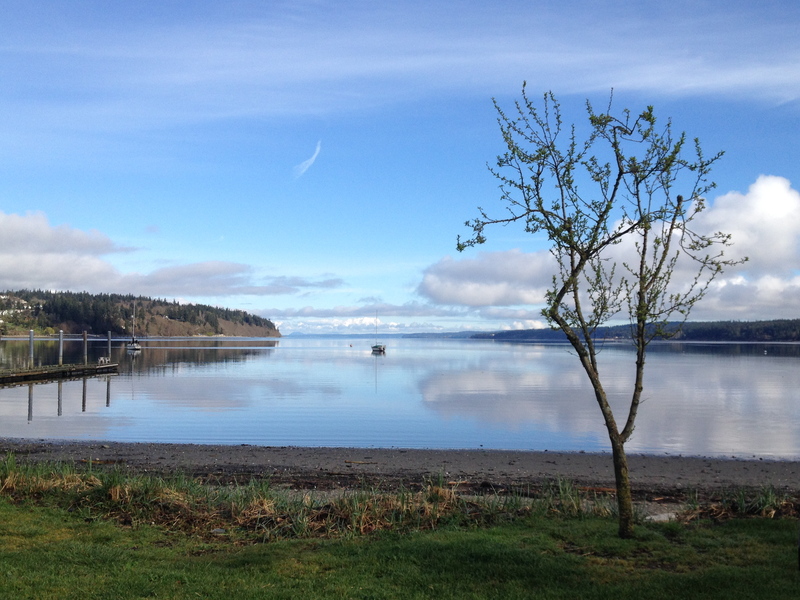 Vancouver is only about a three-hour drive from our house on Whidbey. We stopped for lunch at a Mexican restaurant in Blaine, the last stop on the Washington side of the border. That’s an American experience: eating Mexican food as you are about to enter Canada. As we drove into Vancouver, we thought we were back in China. The skyline was filled with high-rise condos and cranes deployed to build more. The population of Vancouver is, in fact, 29 percent Asian, and many Chinese, including many rich ones, are moving here. The first morning we decided to take a hop-on-hop-off trolley-bus tour of the city to get our bearings. The tour gave us a great overview, but our first driver’s English was so heavily accented that we could barely understand him. The second driver was better but still hard to understand at times. Our guide in China spoke with less of an accent. We hopped off at the Vancouver Aquarium in Stanley Park. The aquarium is a large facility with both indoor and outdoor tanks, and the exhibits include Beluga whales. Belugas are small as whales go, but you get some idea of the size of the place. The sea lions were especially entertaining. At Prospect Point, at the northern tip of the park, we were treated to a rainbow over water and mountains. One of the exhibits in the Vancouver Art Gallery’s “Mash UP” exhibition. It is by a Japanese artist named Ujino Muneteru, who makes complex musical instruments out of all sorts of objects. The second day we headed over to the Vancouver Art Gallery, which was across the street from our hotel. The whole museum has been taken over by an exhibit on “Mash Up” culture that explores the development of what we used to call “mixed media.” Working from the top floor of the museum down, it starts with montages created by Picasso and others in the early 20th century and ends with today’s digital creations. It’s a fascinating exhibit, worth a day’s visit. It was also the loudest museum exhibit we’ve ever been to. That night we celebrated the BTSNBN at Hawksworth, one of the best restaurants in Vancouver. We had a terrific meal. Robin had the lobster and I, the lamb. I usually have cheesecake, but it wasn’t on the menu, so I made do with chocolate, and my dessert even came with a piece of white chocolate with “Happy Birthday” written on it. Possible location for the Vancouver branch of the Cupcake Bar. The space at the front on the first floor appeared to be empty. On our last full day, we visited the Sun Yat-Sen Chinese Garden in Vancouver’s Chinatown, which is the second largest on the West Coast (after San Francisco). The garden is a replica of one in Souzhou, one of the cities we visited in China. All the materials and the laborers were brought from China, and Ming Dynasty construction methods were used, meaning no glue, screws, or power tools. The garden is very peaceful and was much less crowded than the gardens we visited in China. After the garden, we strolled through Gastown, the oldest section of the city, named for “Gassy” Jack Deighton, who opened Vancouver’s first saloon, in 1867. He acquired his nickname because of his loquaciousness. I guess he was the Donald Trump of his day. Now the area is full of shops and restaurants. We spotted a perfect location for a branch of the Cupcake Bar at an intersection that is like a larger version of Durham’s Five Points. Thanks for the Vancouver review. We’ve never given it a proper visit so this is inspiring. Glad you finally found cheesecake, and mango sounds like an excellent variation. For many of my birthdays Heather has treated me to two of my favorite foods: lasagna with cheesecake for dessert. I will suggest mango next time. By the way, happy whatever it was you celebrated! Think carefully before locating a dining establishment in Gastown….